It’s official. 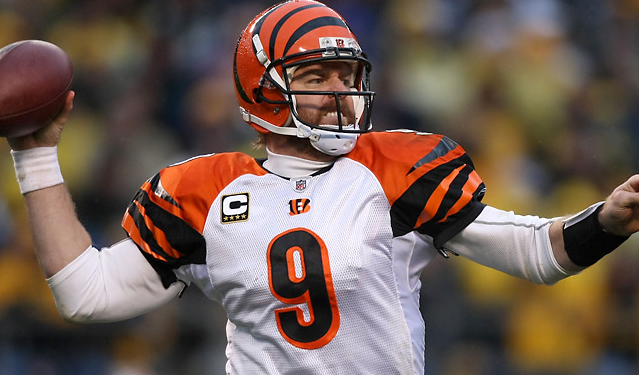 Carson Palmer is now an Oakland Raider. He leaves behind his Bengal stripes for the bay area where the Raiders are making themselves heard this season. With the Raiders starting QB, Jason Campbell off the field for several weeks with a collarbone injury, they had to get somebody. Apparently the pouty Palmer was who they were looking for. If you were unaware, Palmer wanted out of Cincinnati and they wouldn’t let him go, so he just didn’t show up. At all. So when he starts in Oakland, it will be the first he’s played all season. How rusty will he be? Now the Bengals will have a 2012 first-round draft pick and a conditional 2013 pick for Palmer. They scored huge. So, will Oakland score off of Palmer? I guess we will find out soon.